I actually found many feathers. 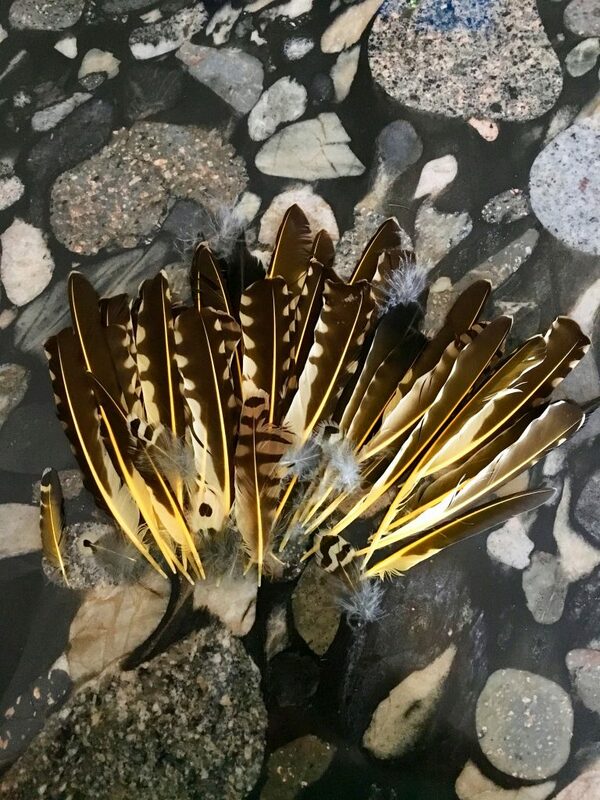 All the feathers were yellow and black so they were rather easy to spot. 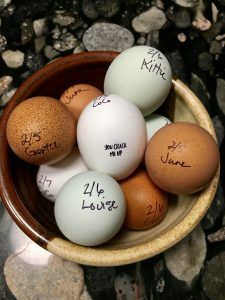 I figure if they had been there long I would’ve found them when I went up to the chicken coop earlier. About twenty minutes later I’d gathered a fistful of feathers. There is a hawk that still considers our backyard a Take-out Diner. Sometime in early December, we had a hawk incident. Well, an incident is really an understatement. We had a hawk attack one of my chickens. Tim was out in the front and saw the whole thing happen in the back yard. He came running into the house yelling “CHICKEN DOWN, CHICKEN DOWN!”But I didn’t understand what he meant by saying that. He ordered me outside, “NOW!” I went out and saw a Red Tail Hawk had my littlest chicken, Ester. I immediately chased the hawk away and gathered Ester up in my arms. She was crying and scared. I brought her in the house and tried to clean her up. I wrapped her up in a towel and took her off to the vet. She had a really terrible gash that I knew would need stitches. In addition, I learned she also had a spinal injury as it became clear she was paralyzed. The only real option was to humanely put her down. That was really hard. Ester was a Polish Crested chicken and about half the size of all my other chickens. 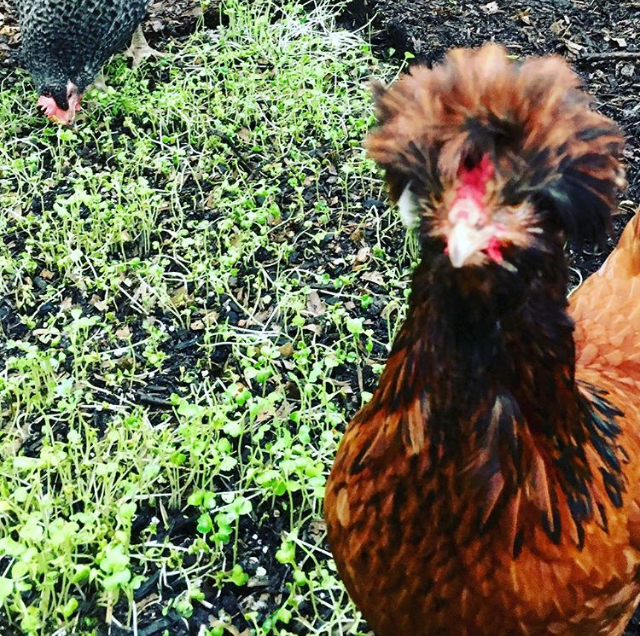 And also, she was my sweetest, friendliest chicken. Two weeks ago we happened to witness a hawk, if not the exact hawk at least the same type of hawk, make a dive through our yard into the neighbors’ yard. The hawk had caught a rabbit or something, as there was an animal screaming for a bit. And then there was just silence. Very eerie. 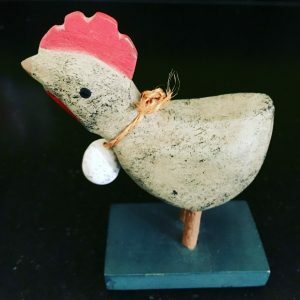 Ever since the Ester incident, the chickens are not allowed to free range the open yard without a human guard. It’s very difficult to identify a bird by just the feathers. [I’m pretty sure by the number of feathers and lack of the actual bird it was dinner for a hawk.] I consulted my trusty bird book, Field Guide to North American birds, Eastern Edition. Next, I did several Google searches. I still am not 100% sure what bird it was. My best guess is a Northern Flicker, which is a woodpecker. I’ve definitely seen these birds in our yard. 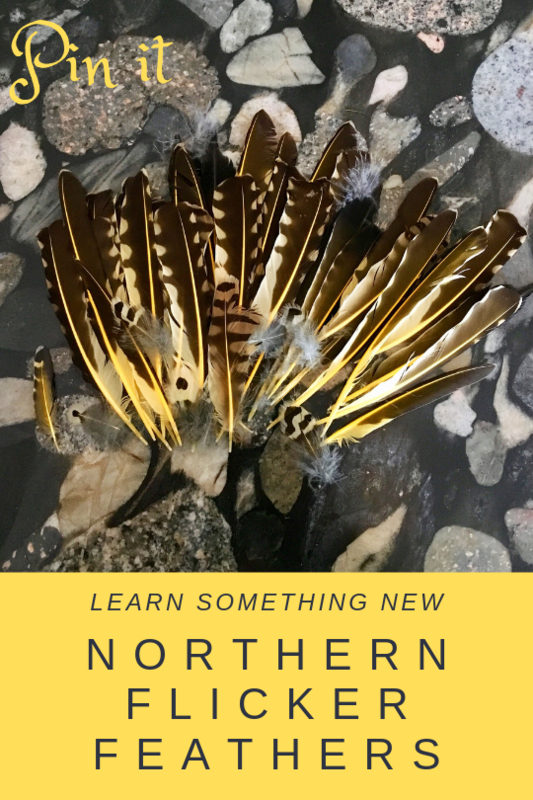 Have you seen Northern Flickers? 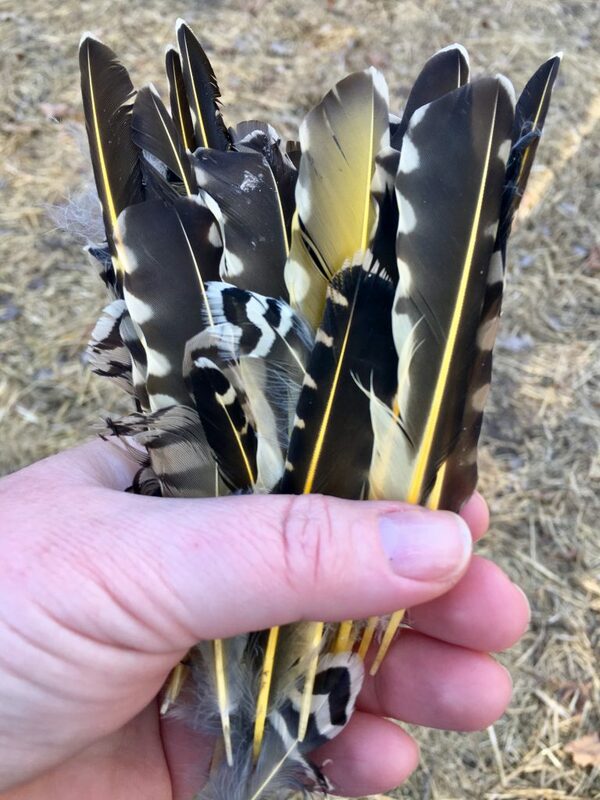 What is your guess for who these feathers may have belonged to? I do try to learn something every day. And I’ve learned wool is great for staying warm. So, I better hurry and finish my January Sweater.